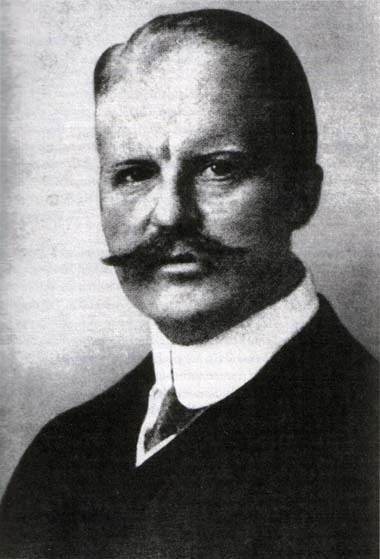 When Imperial German Foreign Secretary Arthur Zimmermann sent off his telegram in 1917 to his Ambassador in the United States for delivery to the Mexican government (or, rather the government of Venustiano Carranza), how seriously he even took the proposal is of some doubt. Zimmermann was an idea man… and, unfortunately for him, sometimes his brain farts got the better of him. If war is politics by other means, than political sabatoge is war by other means, too. Undermining the governments of enemy nations (or, in the case of the United States, potential enemies) made sense… and Zimmermann’s proposals to assist Indians and the Irish in rebelling against the British, and the Russian Communists in overthowing the Tsar all made perfect sense. None of these two way plots having quite worked out to German advantage (although the Russians did overthrow the Tzar, and the Irish finally did start their long-delayed war of liberation, both were too late to really prevent the German defeat), offering German assistance in “reconquering” regions ceded to the United States after the War of 1846-48, though, depended on a three-way (or rather four way) conspiracy that was just too complicated to work. The Germans would have to convince the Japanese (who were on the Allied Side in that war) to switch sides and join… the Mexicans, who were in the middle of a civil war… and were supposed to work with African-Americans in the Southern U.S. to force the United States into a defensive war that meant it would be unable to supply the British. Or something like that. Zimmermann himself later admitted (and quite cheerfully, making a joke of it that Germans always have a hard time making friends,and sometimes just don’t know how to talk to people), that the plan wasn’t really supposed to work, but only to keep the U.S. on edge, and make them less likely to interfere in the European War. 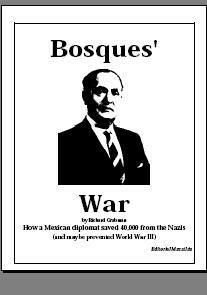 Which, as we know, didn’t work… the British using their purloined copy of the telegram as the basis for propaganda painting the Mexicans as a threat and the Germans as devious, and the British (never mind that they were oppressing the Irish and the Indians) as the victims of aggression. Woodrow Wilson fell for the British line, and the rest, as they say, is history. Tragic history. Venustiano Carranza, who had the best claim to heading a government in Mexico, was supposedly the one receiving the telegram, but whether he ever saw it is conjecture. I tend to think he didn’t. It’s not clear who did, most sources (even those who tend to take the whole thing as a serious offer) only mention “a Mexican general” having seen it. Whoever did would have realized how ridiculous it was, Carraza not even having the title of President (but only Chief of the Constitutionalist Army) in January 1917, and more than one claimant (and more than one Army) claiming to be the government. But, I guess one bad idea deserves another. … KFA members are awarded badges and posters, and jostle to outdo each other with their trainspotters’ grasp of the minutiae of North Korean life. Like other followers of niche enthusiasms – medieval role players, American Civil War re-enacters, Japanese anime obsessives – the KFA’s members seem not completely at home in their own world, seeking instead a deeper affinity with a distant, idealised time or place. For them, North Korea’s isolation, its status as a mysterious, forbidden kingdom in an otherwise globalised world, is the source of its unlikely mystique. “It’s the only exotic country,” explains Frank Martin, a 49-year-old Parisian bank manager and KFA member, who has twice visited North Korea on KFA solidarity tours. 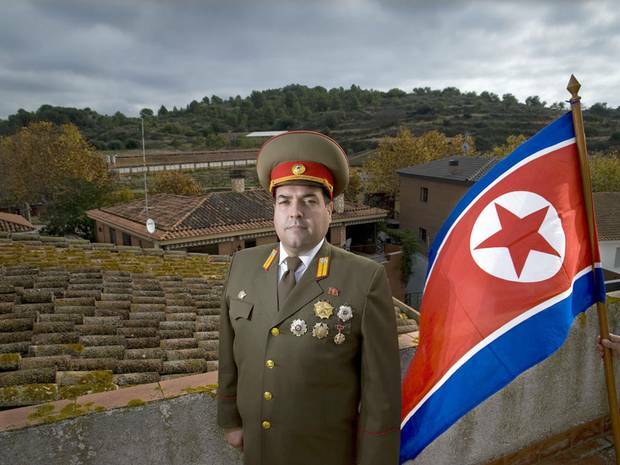 of North Korea apparently has actually allowed the Spaniard to claim), Cao de Benós has sent his fraternal greetings to Mexico. Not exactly calling for Mexican participation in whatever the Hell that supposed state of war between North Korea and the United States is, but — Zimmermannesquely (to coin a word) — seems to be in the spirit of Zimmermann, meant to stir up trouble in the U.S. over possible Mexican support for an “enemy power”. 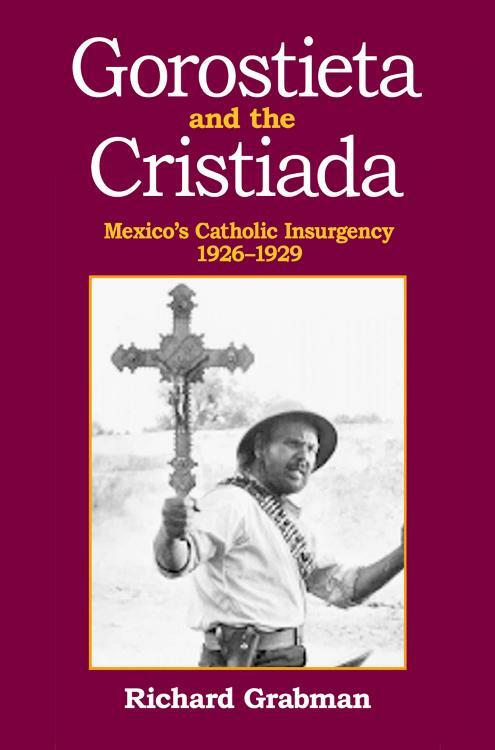 Naturally, right-wing loons in the U.S. take this seriously being predisposed to assume Mexicans want to invade the U.S. anyway, but this is no more likely to be even read by anyone in authority or merit any sort of consideration. Cao de Benós addressed his letter to the “Partido Comunista de México”… which has a website, but hasn’t been a party since 1989. Cao de Benós claims “Sarcasm doesn’t exist in DPRK,” but it sure does on MexFiles… but whether to direct it towards the Special Delegate for Cultural Relations with Foreign Countries, or the Free Republic and other useless idiots who “want to believe” the Mexicans are coming for them (and their guns and religion and women… especially their women) is a difficult decision that probably needs to be seriously considered. Or not. ← Did the Border Patrol commit a murder inside Mexico?